n April 18, 1865, Kentucky cavalry and militia units engaged General Edward E. Potter's Union troops as they moved south via the "King's Highway" during the Civil War campaign known as Potter's Raid. The Confederates were pushed back after a fierce fight. Lieutenant Stevens of the 54th Massachusetts, killed in this battle, was the last known Federal officer to die in the Civil War. 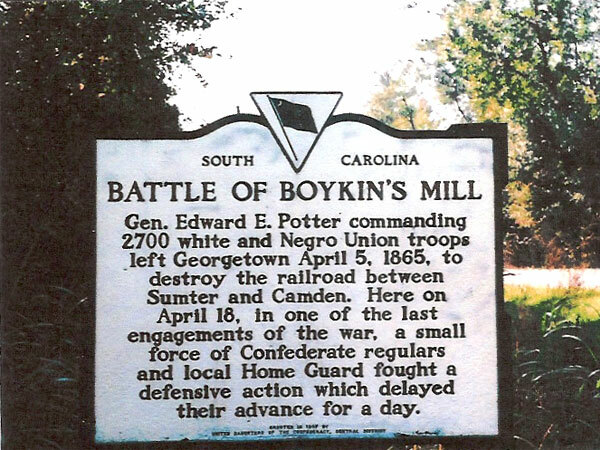 Among those who also fought in the Battle of Boykin's Mill was Burwell Boykin, a 15-year-old volunteer with the South Carolina Home Guard, who fought in defense of his home. 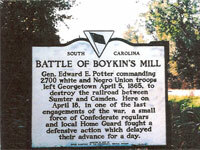 Young Burwell Boykin was the son of Confederate Colonel Alexander Hamilton Boykin. 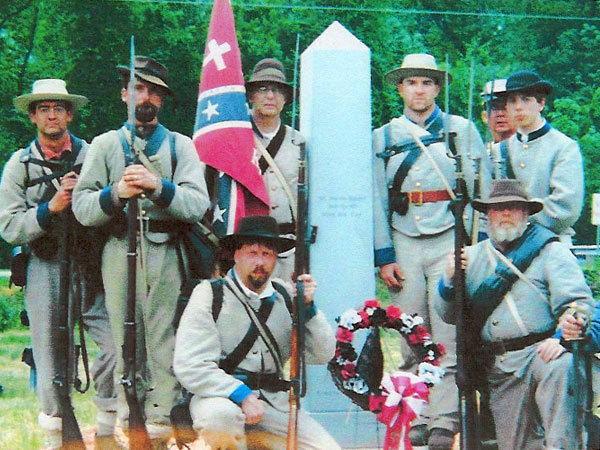 A monument commemorating all those who fought in the Battle of Boykin Mill was erected by the 54th Massachusetts Infantry at the 130th anniversary battle reenactment in 1995.